Look at you, you scruffy sod. You shirt is so wrinkled it looks like a satellite photo of the Himalayas. If to you ironing is something that other people do (like your mum) then you might not be aware of just how crumpled and creased your clothes actually are. It’s the reason you didn’t get that job you interviewed for. It’s the reason your gran tutted when she last saw you. It’s the reason children laugh and point at you on the street, shouting ‘look, it’s Kris Krinkle! Ha!’ You need an iron with muscle, such as the Braun CareStyle 5. We could try and sell this iron in a manly way, but that would get boring pretty quickly. Instead let’s take the gender-neutral position of all agreeing that everyone either needs or wants an iron, and that the twenty quid, leaky, cracked thing you picked up from ASDA might not be the best solution. 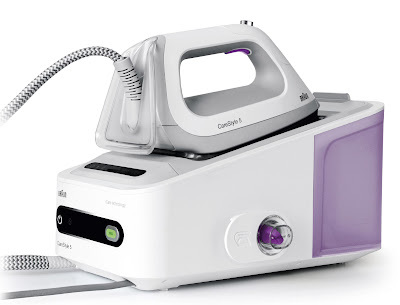 The Braun CareStyle 5 is an ‘ironing system’, being so much more than a hand-held unit you fill up, plug in, and proceed to ruin your expensive silk shirt. The most striking thing about the system is that there is no traditional dial to set depending on what kind of fabric you are ironing. 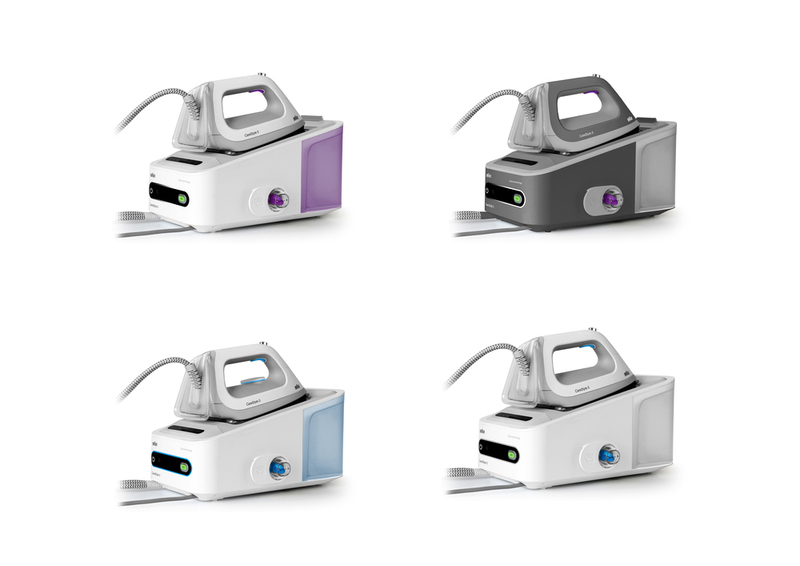 Using Braun’s iCare technology, the iron automatically adjusts to give the best possible results in the quickest time. The actual ironing unit – the bit you slide over your pants – is separate to the water reservoir, making it lighter and easier to manoeuvre. It also means you can iron more garments for longer, as the amount of water you can put into that unit (which we found most helpful to just leave on the floor next to the ironing board) is greater than a traditional all-in-one iron. So fewer stops to refill and reheat; so, once again, a quicker experience. The heat plate of the iron is also pretty cool (well, pretty hot actually) as it glides over all kinds of clothing effortlessly. It features rounded and slightly raised edges to help it slide over the likes of zips and buttons, and it even works just as well when drawn backwards. It is also scratch-resistant, so it will stay smooth and flat for a long time. 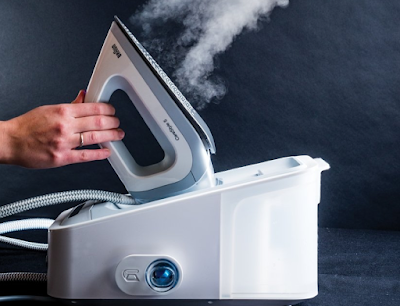 The pressure at which the steam is forced out of the plate is also greater than normal irons, helping to better permeate the fabric for a more thorough job. The Braun CareStyle 5 also features a nifty ten-minute auto off, meaning that when it is idle for ten minutes, it switches itself off. This means there will be no more ‘Oh crap! Did I switch off the iron?” as you sit in the office, checking local news to see if there has been any fires reported on your street. The Braun CareStyle 5 ironing System is the absolute bee’s knees. Everything we threw at it came out looking pristine, and some of our clothes haven’t been ironed in years. Whereas at first we thought the whole thing was a bit overkill for occasional ironing jobs, it actually proved itself to be quicker and more convenient that smaller, cheaper irons. It’s a winner.